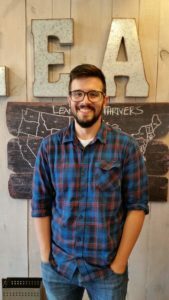 Casey Dierking joined the Lean Tech team in May of 2018. In addition to his software developer role, Casey brings digital media and graphic design experience to our team. Casey likes to learn and his balance of creative and practical ideas has been a welcome addition to our team. Now that the dust has settled following a whirl wind of a start at Lean Tech (moving, having their second child, and starting at Lean Tech within a span of 6 weeks), we recently asked Casey to share a little more about himself and his new role. 1. What drew you to Lean Tech? I was drawn to Lean Tech because I wanted to be able to contribute and make a direct impact on the company and its customers. Lean tech provides that opportunity. The team members here are also incredibly smart, encouraging, and always creating learning moments. The culture is healthy and everyone enjoys the work we get to do together. It’s a recipe for success that I wanted to be a part of. 2. You are raising a young family. How has fatherhood shaped you in the last 3 years? There are a lot of different takes that I could talk about how fatherhood has shaped me over the last 3 years, but one that immediately comes to mind is in just one word. “Grit”. I absolutely love being a father to my two girls (3 years and 5 months) and a husband to my amazing wife. But if these last 3 years have taught me anything, it’s how to keep going even when both kids are screaming and you are running on 3 hours of sleep. It’s pushed me as a person to become better because I recognize my limits and how far I can really go. I think it’s also taught me that there is permission to fail and learn from our mistakes. I also don’t take naps for granted anymore. 3. Tell us about the entrepreneurial spirit in your household. What is your latest project outside of Lean Tech? In January 2018, David joined our team from Kansas City, MO. David is as good as they come. He has a bright mind and loves to think through how to solve difficult processes and break them down into manageable tasks. We asked David to answer a few questions so that Thrive users could know a little more about him and his contributions to the platform so far. 1. What aspect of your role do you enjoy the most? My primary responsibility is software development here at Lean Technologies. While there are many technical aspects of developing software I also meet with customers personally to understand their needs and pain points. This has better allowed me to develop our products from a user perspective. Being close to the customer is one of the things I enjoy most about my role. 2. What were your first impressions of this industry? Before I came to Lean Technologies I had minimal exposure to the manufacturing industry. Thrive touches many aspects of a manufacturing business so there was and still is a lot for me to learn. One of my initial findings was just as in software, manufacturing too has many buzzwords and acronyms. 3. What originally attracted you to working at Lean Tech? One thing that initially attracted me to Lean Tech was our size. 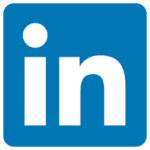 I was looking for a place where I could fulfill my interest in software and business. I can directly affect the outcome and direction of our product because of everybody’s willingness to hear and act on new ideas. 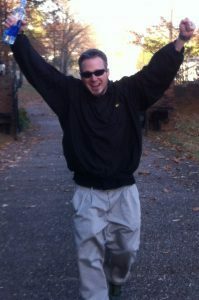 This is what keeps me excited and what continues to move Thrive forward. 4. What else do you like to do for fun? In my free time I enjoy staying active. You can find me exploring the trails around Lake Red Rock or running. I also enjoy developing mobile applications and I most recently have taken up yoga. 5. Words to live by — What are yours? 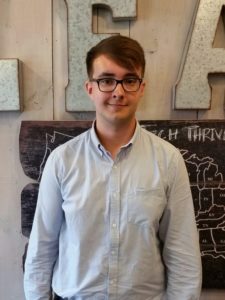 In May, Erich joined our team full time after interning with us last winter. He has really hit the ground running and cares about how our customers use the product. We asked Erich to answer a few questions so that Thrive users could know a little more about him and his contributions to the platform so far. I am a 22 year old recent college grad who loves being active, hanging out with others, and continually learning. During the weekdays, when I am not at work, I enjoy reading and coding even more. I am currently reading the Song of Ice and Fire series (Game of Thrones) and I want to start Lord of the Rings soon after. I also love reading books about psychology and entrepreneurism. I am attempting to learn Swift so I can make apps for the App Store. It is nice to start from the beginning of learning a language (rather than hitting the ground running like I did at work) so I can understand the concepts more fully. On the weekends I find myself spending time with my friends and/or doing outdoor activities (currently into rollerblading and tennis). Since I am a recent college grad, I will have to adjust to not going back to school for the first time in 17 years. I am excited to see where life takes me and all the fun the future has in store. 2. What do you love most about working at Lean Tech? I love that Lean Tech encourages an environment of freedom and personal responsibility while still providing a great support system to help you when you get stuck or need help with your work. I enjoy being able to struggle and think through problems, but when I am unable to figure out the solution, my teammates will happily come and dig into the issue with me. Coming from a non-traditional path of schooling for software development (Biology and Biochemistry majors from Central College), there are many technical terms that I do not know yet or perhaps there are other algorithms and techniques that I haven’t heard of. However, the whole team is readily available to help me learn. I feel like I have been getting a crash course on software development and it’s pretty amazing to see where I started to where I am now. 3. How would you describe the culture at Lean Tech? I think Lean Tech has some of the best people, ability and personality wise, which makes working enjoyable every day… even through pesky git conflict issues. I feel like bigger software companies would struggle to keep friendships (workships?) alive like we have. We are all really relaxed. Additionally, I love that the work I do directly affects users rather than just working on some big program that has already been built that affects a select few. The work and development I do at Lean Tech is implemented into the product quickly and directly placed into users hands soon after. It is great to see and participate in the development process from beginning to end. 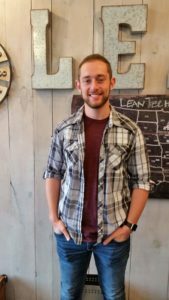 In May, we welcomed Sam Magee to the Lean Tech family for the summer. Sam has been key in helping us complete and deliver custom projects for customers. 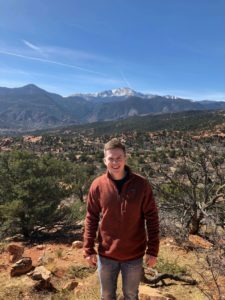 We asked Sam to answer a few questions so that Thrive users could know a little more about him and his contributions to the platform this summer. 1. Tell us about yourself, where are you from/what are you studying? My name is Sam Magee, and I am from Cedar Falls, IA. I am currently a junior at Central College in Pella, majoring in Computer Science. 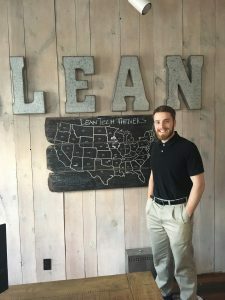 I started my internship with Lean Tech over the summer following my sophomore year in 2018. Web development and design have been of great interest to me ever since my family got our first computer at home. Something about websites and how they work intrigued me, so once I started, I just had to keep going! 2. Tell us what you do as a Software Developer at Lean Tech. As I said, websites/web apps have always been my forte, so when I learned that there was a job like this in Pella, I knew I had to apply! I was looking to improve my skills in writing code and that is exactly what I have done as a Software Developer at Lean Tech. At first, I was a little nervous about learning a completely new codebase, totally different from anything I had ever worked with beforehand. However—the initial training, along with continued help from the team, allowed me to quickly get used to Thrive and its inner-workings. My knowledge from other personal projects I have worked on gave me insights that let me solve complex challenges—something I very much enjoy to do. Most working days are spent fully immersed in the code. Everyone is given their space and the time to focus on their projects. This allows us all to work efficiently with each other and on our own. Before having joined the team, I had grown used to working on my own, and I was somewhat skeptical about what it would be like to join a team (but also very excited). I was very impressed to see how well the team motivated me to work harder, and how it made me more efficient overall. 3. What did you like about a project you worked on? What did you learn? I was given the opportunity to build out a large part of a new module, “Customers.” Starting with an estimating tool, I was able to communicate directly with the customer and get feedback, which guided me in adding all of the features involved, including a drawing tool that connects to the estimates. This specific tool, along with a new “Customer Activity” section, was built in a different way than most other pages in Thrive. This meant that I was challenged to think outside the box. Because these made me think a lot harder than I may have while working on pre-existing pages, I think it made me a better developer overall. 4. What are some of your greatest joys at work? My favorite times at work are when I finally solve an issue that I spent a considerable amount of time thinking about and working on. The rush I get from completing a project or fixing a bug is incredibly motivating, pushes me to do more, and oftentimes allows me to reflect my solution to other areas I work on. 5. How have you enjoyed working in a small town, on a small team? Working in a small town, on a small team has been great for me. Having lived in Pella for the better part of two years during my time at Central, I have learned a lot about the town, but working at Lean Tech, I have learned much more about the area and the community inside it. Being part of a smaller team has made me feel like I have a bigger part in the company. I always felt safe about sharing my opinion in team conversations, knowing that it would be considered and respected by everyone involved. 6. What are your goals for the next years? Throughout the next few years, I hope to finish up my education at Central. My main goal, however, is to continue to learn as much as possible about the industry. My experience at Lean Tech has confirmed to me that I want to remain in the web development field, as I very much enjoyed my time as an intern. In the future, I anticipate that I will continue in the industry, and I hope that my work will be put to good use in any future projects I am involved in! 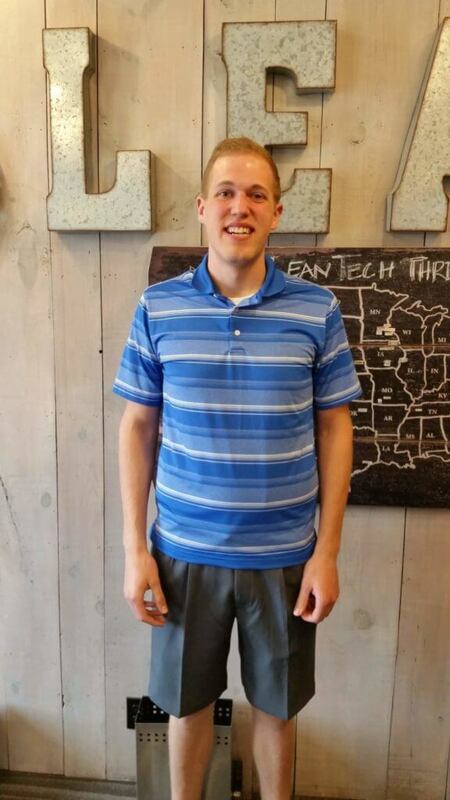 In May, we welcomed Michael Vander Wal to the Lean Tech family for the summer. He has been a valuable asset to our team and are going to miss him as he heads back to Sioux Center. We asked Michael to answer a few questions so that Thrive users could know a little more about him and his contributions to the platform this summer. My name is Michael Vander Wal. I was born and raised on a small dairy farm outside of Pella, Iowa and have lived there all my life. I am going in to my Junior year at Dordt College in Sioux Center, Iowa and am majoring in computer science and mathematics with a minor in general business. When I’m not working or doing school work I enjoy watching and playing golf, baseball (go Red Sox! ), and basketball. I also love going out with friends and playing the occasional video game, reading medieval themed books, or listening to and playing music. One of the biggest things that stood out to me when I first started at Lean Tech was the people that work here. Not only are they always happy to help, but they are also enjoyable to work with and be around. Coming in to this job I was a little nervous about how I would fit in and do. With the help of the others here I got adjusted pretty quickly and have learned even more than I hoped to this summer. I think the best project I worked on this summer had to be the custom project for Timpte. The goal was to set up a page where they could make a schedule and then have alerts go off when they needed them to. It was very neat because we got to mesh both the stuff that we had used previously and incorporate a bunch of new things with it. It was also the first project that was built completely from the ground up. There was not really a starting point, we just had to start with a blank slate and go. I learned a lot and had fun with the challenges that it brought. 4. What are your goals for the next years? My goals for the next few years are really to just learn as much as I can. I hope to become knowledgeable enough to make a big impact on wherever I end up and try to use my strengths to benefit others. I appreciate that Lean Tech has helped me learn so much and I am thankful for the opportunity I have had here. In May, we welcomed Andrew Gorman to the Lean Tech family for the summer. 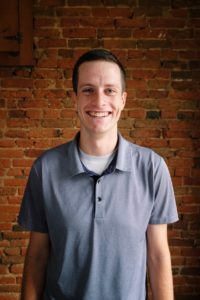 Andrew has contributed a lot to this team with really taking lead in helping us solidify our software development process. We asked Andrew to answer a few questions so that Thrive users could know a little more about him and his contributions to the platform this summer. I am Andrew Gorman, a Computer Science and Psychology double major at Central College, and I’m heading into my senior year! I grew up on a farm in Altoona, IA, and have always had a passion for computers and coding. Some other passions of mine include: photography, drones, and graphic design. 2. What originally attracted you to working at LeanTech? How did you hear about the opportunity? One of my best friends, D.J. Imoehl, had a summer internship at Lean Tech during the summer of ’17. In talking with D.J. about his summer internship upon returning to school, he had nothing but positive experiences to share. He loved the team, the lean focus, and the small team environment. He put me in contact with the Team as he knew I would enjoy it as much as he did. 3. What do you like most about Lean Tech? How do you like working for a small software shop vs. a large corporation? I love the agility, focus, and interaction that a small team brings to the table. In larger companies, oftentimes teams are larger and you don’t have as much of a voice. That’s not the case at Lean Tech, here everyone has a voice, and everyone is encouraged to share their opinions and ideas regularly. When it comes to projects, often developers are distanced from the customers and distanced from really being able to understand how to best design their software. At Lean Tech we regularly interact with customers and as a result, I believe our software is all the better for it. Saving the best for last, my favorite part of being on a small team that regularly interacts with customers is being able to identify ways to streamline the process and workflow for customers, without the customer ever even having to request it. 4. What are some projects you worked on this summer? This summer I have completed many projects, but two in particular stand out to me as ones that I am exceptionally proud of. Both of these are projects that made me realize how great it was to be a developer on a small team with high customer interaction. One of our customers was regularly exporting large data sets using Thrive, and although our export functionality is very robust, it was still taking a few minutes for Thrive to be able to communicate with the customer’s servers and compile the data, then download it. I was able to dig into the code for the export process and develop a new method for exporting large data sets that was much more efficient and streamlined, now that same download happens almost instantly. The time savings for our customers not having to wait means employees can be more productive with their time. This feature was rolled out to customers in our June 2018 update. My second project was a modification to the Goalboards. In speaking with customers, I found that several companies use tablets running the Thrive Goalboard system at each part station for productivity tracking. While Thrive supports mobile devices site wide, the Goalboard buttons were a slightly difficult to click when operators were wearing gloves or other protective equipment. I modified Goalboards to detect when they were being run on mobile devices and dynamically resize the productivity tracking buttons to ensure that it was as easy and quick as possible for operators to track their productivity. 5. Whats your personal developer motto? Yet another reason I love Lean Tech, every single member of the team embodies and embraces this value more than any other software development company I know of. We are working on ways to stay connected and keep you updated on the latest Thrive developments, events, and training opportunities. You can expect to receive the same level of personalized customer service that we have always strived to provide. However, we think you will find value in subscribing to one or more of these lists. Thank you for your support and keep the feedback rolling in…Thrive is better today because of users like you! The Lean Tech Team appreciates your business! Is Iowa the only state with a concerted, identified effort to improved quality, cost, and service, even having a â€œLean Day Proclomationâ€? Just read a post from Jamie Flinchbaugh on Mark Grabanâ€™s blog. Jamie will be speaking at the Lean Government Exchange in June in Des Moines, IA. Glad to see Iowa government continuing to be a leader in this arena. Iâ€™m starting to develop a fire for what I can do to contribute to the application of lean in both government and healthcare, because I see huge opportunities to improve quality and cost in these arenas. Glad to see my friends at PDG Consultants as a primary contributor to the event as well. Some of the results of the lean efforts in Iowa Government can be found here.